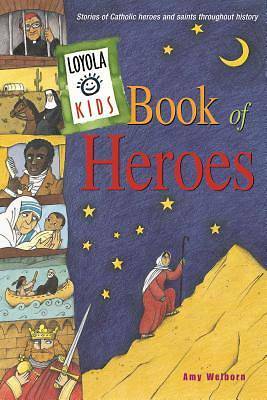 In the thirty-six stories in Loyola Kids Book of Heroes, you'll meet a Catholic nun who stood up to the most infamous outlaw in the Old West. You'll learn how entire villages of men and women devoted their lives to building great cathedrals to show their love and respect for God. You'll learn about John the Baptist, Blessed Teresa of Calcutta, Charlemagne, St. Albert the Great, Dorothy Day, St. Patrick, and many others. Most of all, you'll learn that with God's help anyone can be a hero and make the world a better place.